WASHINGTON — The White House has confirmed the death of an American aid worker that had been taken hostage by the barbaric Islamic group ISIS, also known as the Islamic State of Iraq and Syria. 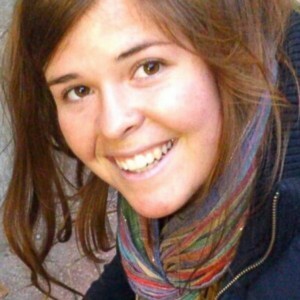 Kayla Mueller, 26, of Prescott, Arizona had traveled to Syria in 2013 to work with the Danish Refugee Council and Support to Life, a humanitarian organization that helps displaced Syrians affected by the country’s civil war. Mueller had dedicated her life to aid work, traveling to Israel, India and Palestine to participate in humanitarian efforts in recent years. She also volunteered for an HIV/AIDS clinic in the United States, as well as a shelter for women. But while serving the people of Syria in 2013, she was taken captive by ISIS, and last May, the Islamic group contacted Mueller’s family to demand over $6 million in ransom to save her life. Last Friday, ISIS claimed that Mueller had been killed during a Jordanian airstrike in Raqqa, which served as retaliation for last week’s brutal burning death of pilot Moaz al-Kassasbeh, but no provided no further substantiation for the claim other than a photograph of a destroyed building. Therefore, Mueller’s family would not accept word of her death and remained hopeful that she might still be alive contrary to claims. “Once this information was authenticated by the intelligence community, they concluded that Kayla was deceased,” she explained. Barack Obama has issued a statement today as well expressing sorrow over Mueller’s death. Mueller’s parents have likewise issued a statement following the conclusion that their daughter is indeed deceased.